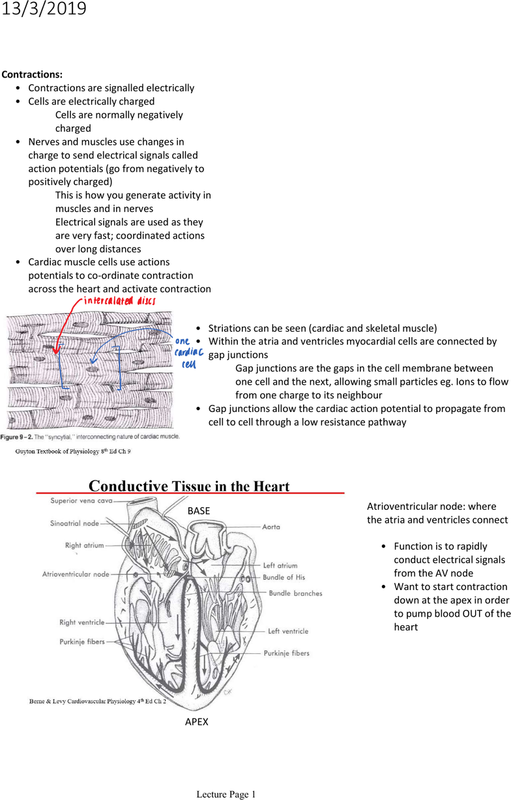 Electrical activity normally originates in the SA node. Nerves and muscles use changes in charge to send electrical signals called action potentials (go from negatively to positively charged) This is how you generate activity in muscles and in nerves. Electrical signals are used as they are very fast; coordinated actions over long distances. Cardiac muscle cells use actions potentials to co-ordinate contraction across the heart and activate contraction. Striations can be seen (cardiac and skeletal muscle) Within the atria and ventricles myocardial cells are connected by gap junctions. Gap junctions are the gaps in the cell membrane between one cell and the next, allowing small particles eg. ions to flow from one charge to its neighbour. Gap junctions allow the cardiac action potential to propagate from cell to cell through a low resistance pathway. 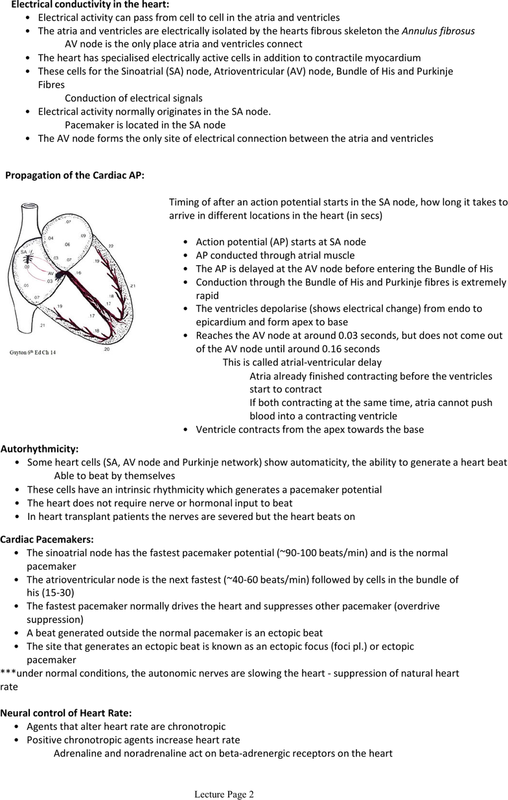 Atrioventricular node: where the atria and ventricles connect. Function is to rapidly conduct electrical signals from the av node.